EE bonds earn interest for 30 years. 2. How Long Till a Savings Bond Matures at Face Value? 3. How do I Calculate Interest on EE Savings Bonds? The U.S. Treasury recommends EE bonds as a safe and patriotic investment with the full backing of the U.S. government. Paper EE bonds used to be available through savings institutions, but now the Treasury sells electronic EE bonds online at TreasuryDirect. The electronic bonds sell at face value in any amount of $25 or more, with an annual limit of $10,000. EE bonds have two maturity dates and earn interest until final maturity. 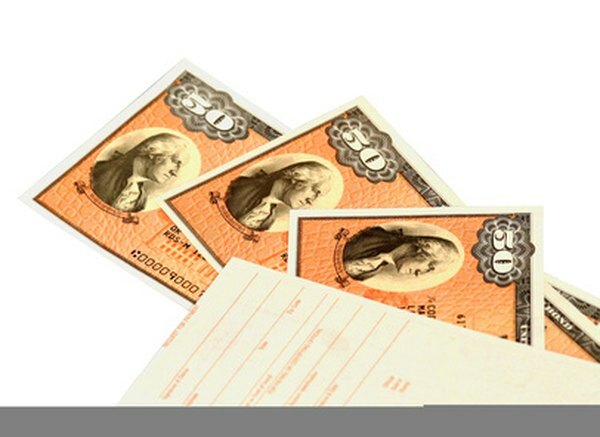 Series EE savings bonds are now sold at face value and can earn interest for up to 30 years. EE savings bonds with issue dates after June 2003 have an original maturity date of 20 years from issue. Earlier EE bonds had varying lengths of time to original maturity. For example, bonds dated between March 1993 and April 1995 have an original maturity of 18 years. Bonds issued after May 2005 pay a fixed interest rate, but the Treasury guarantees that their value will double in 20 years, at original maturity. If they don't, the Treasury will add additional value to make up the difference. For example, if you paid $25 for your bond, it will be worth $50 on its original maturity date. After the original maturity date ends, the bond enters the extended maturity phase, where it will earn interest in the form of a percentage. This percentage can change, but has generally been between one and four percent. The final maturity of EE bonds occurs after the extended maturity has concluded. It is always 30 years from the issue date, and it is at this time that interest ceases. For bonds issued after June 2003, final maturity is 10 years after the original maturity. EE bonds will continue to pay the original rate of interest for the final 10 years unless the Treasury announces a change. You don't have to wait until original or final maturity to cash EE bonds, but you must wait at least one year. Redeem paper EE bonds through a financial institution, and redeem electronic bonds through TreasuryDirect. If you cash the bonds before five years, you'll forfeit three months' worth of interest. Interest on bonds dated prior to May 1997 is added twice a year, so cashing them before a payment date lowers your payout. Use the Treasury's savings bond calculator to find the value of your paper bonds and when interest is paid. EE bond interest is normally subject to federal, but not state, income taxes. You can choose whether to claim the interest each year or defer it until final maturity or redemption.You must claim the interest at 30 years at the latest. You'll receive a Form 1099-INT for taxes if you cash paper bonds at a bank, and TreasuryDirect provides a printable form when you redeem electronic bonds online. You can exclude EE bond interest on your income taxes if you use the bond proceeds for qualifying educational expenses and meet other requirements. How do I Calculate the Value of a $100 US Treasury Savings Bond From 1975? How Do United States Savings Bonds Mature & What Are They Worth? How Many Years Can You Keep a US Savings Bond Before it Stops Earning Interest?